No matter how much people love dining out, they never like waiting for their table. Seating guests promptly is consistently one the most stressful parts of working in a restaurant. 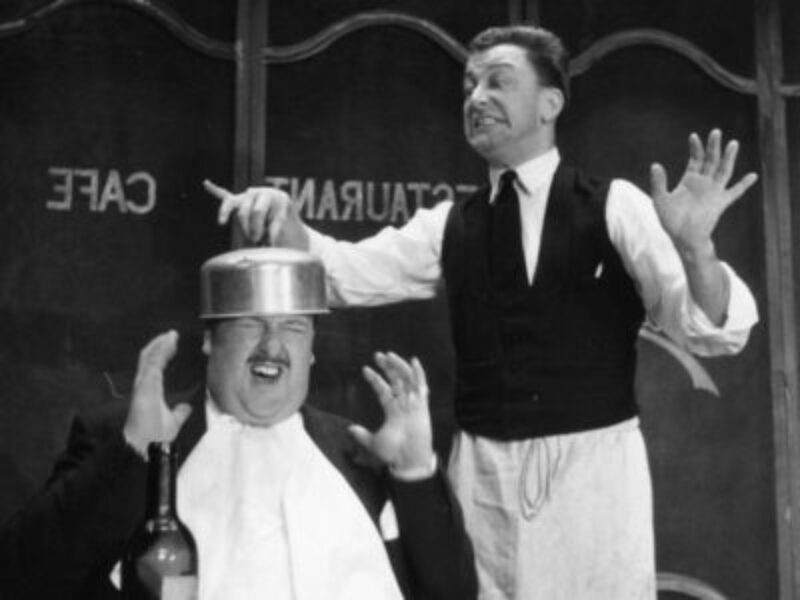 Hosts and maitre’ds around the world are routinely subjected to childlike tantrums and fits of hyperbolic outrage when guests are made to wait. Unfortunately, what most people don’t understand is that the process of booking restaurant reservations is an imperfect science. Filling a restaurant is like a game of Tetris. At the beginning, the pace is slow and the puzzle pieces fit together easily. As the night progresses, the shapes become more complicated and the pace of the game accelerates. Sometimes the pieces don’t fit as well as we thought and the puzzle gets messy. 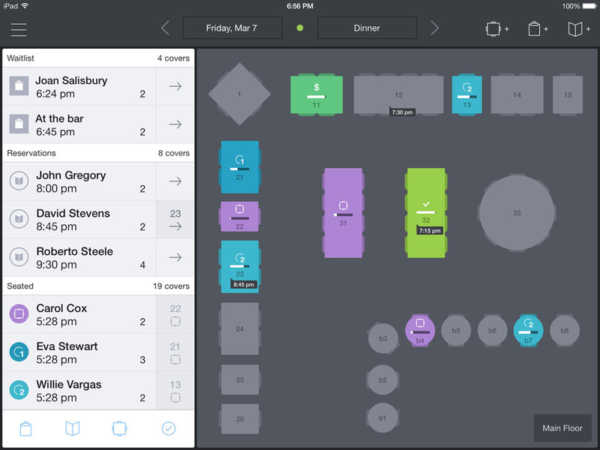 To impose order, most restaurants create a flexible template for managing bookings that staggers the seating arrangement throughout the night. The template assigns a time frame to each different party size that is considered ample for guests to enjoy their experience. In fine dining, that may be up to two hours for parties of two (we call them “deuces”) or between two and three hours for larger parties. More casual restaurants may be less generous with projected turn times. They need more volume to make up for lower menu prices. No matter how the reservation system is designed, there is rarely room for error. Predicting when each table will be ready is a tightrope act that can easily be thrown out of balance when unpredictable variables arise. If your party is incomplete or late for a reservation, this is why the maitre’d likely tells you he or she needs the table back at a particular time. You might find it inhospitable to be constrained in this way but so will the party after you forced to wait longer because you were late. The plan for filling the dining room rarely plays out the way it’s been scripted. On any given night, the reservation book ebbs and flows—people cancel and last-minute reservations are added. There are no-shows or people arrive with a larger or smaller party size than they originally booked. The way the tables are plotted changes in real time based on the pacing of each individual party. The truth is—no matter how much data you have, it’s impossible to predict the amount of time it will take each individual table to complete their meal, pay their check and leave. There are never guarantees that just because a table has paid their check on time that they will also relinquish their table. In other words, when we give you a reservation time, in many cases, we are approximating when you’ll be seated based on the tendencies of the average guest. This is why everyone who makes a reservation in a restaurant should understand that a reservation isn’t a contract. It’s understandable to be upset if you’re seated past your allotted time, but you shouldn’t feel cheated. Agreeing to a particular reservation time does not guarantee you’ll be seated at that time. A reservation is an attempt, in good faith, to accurately predict the time your table will be ready. 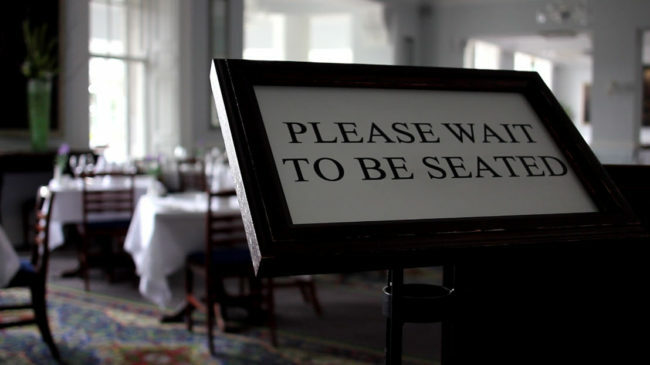 It guarantees that you will have a table, but it does not guarantee that you’ll be seated at that table punctually. As a guest, you should always grant the restaurant a reasonable grace period. After thirty minutes, management should offer some kind of reclamation—like a round of drinks or complimentary dishes. They usually do. But even in these instances—though it perfectly fair to voice your displeasure—you should not feel entitled to anything. It’s curious that most people are willingly accept the same approximations with doctor’s appointments, trips to the hair salon, airline departures and cable service calls. They’ll compassionately forgive long delays in office waiting rooms or airport gates without anywhere near the same sense of entitlement. Would anyone dream of standing at the front desk in a doctor’s office and demanding to be seen immediately a half an hour after their appointment? So why do we get so much more upset when we’re seated late for our restaurant reservations? Many people look down on the vocational work of restaurant professionals compared to more white-collar service industries. We feel more entitled to bully a hostess for a table than an dentist for a root canal. The reasons for the delay in each of the above scenarios are exactly the same: The amount of time it takes to care for certain individuals varies and is hard to predict. For whatever reason, when we dine out, we assume if we’re seated late that it must be incompetence. It often isn’t. In most cases, late seating is due to extenuating circumstances—traffic, bad weather, a visit from the Health Department, or just people “camping.” Asking a table who is lingering to leave is a last resort and restaurants only do so in isolated cases. As an impatient guest, it isn’t fair to support evicting someone who’s overstayed their welcome for you to be seated unless you are willing to accept the same treatment when you linger. Most people aren’t. More often than not, the staff of the restaurant will be remorseful it’s behind schedule and will do what it can to make amends. Showing grace in these moments may be difficult but it demonstrates that you don’t put your needs above others. Your calm will be repaid in attentive service. Ask anyone who works in restaurants, selfless guests are the most treasured ones.